Advken CP RTA comes has 2.5ml capacity with 24mm diameter. It is a single coil RTA tank with gold plated stainless steel contact pin. 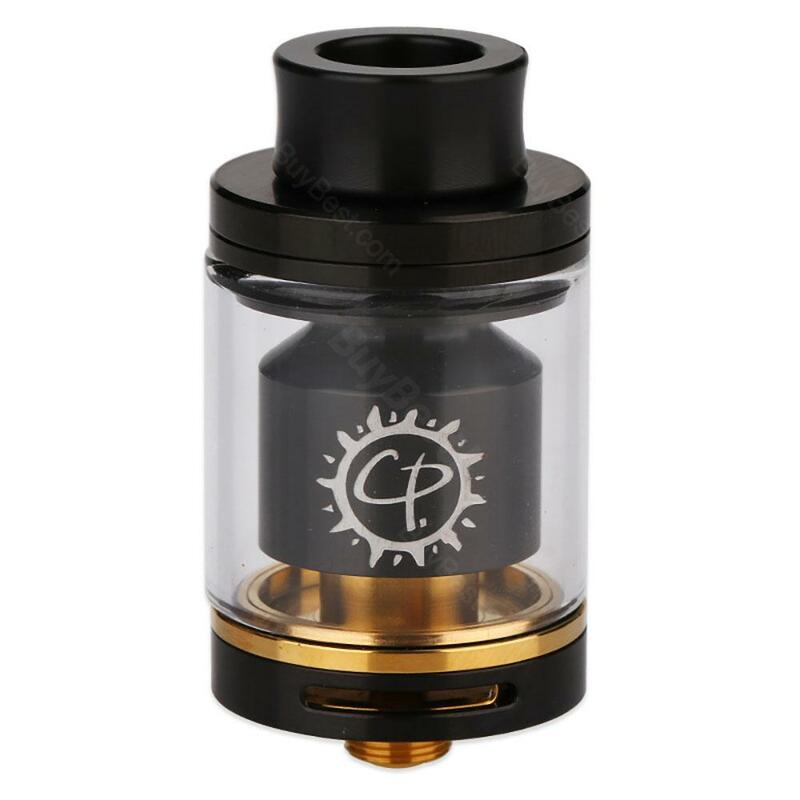 Advken CP RTA comes has 2.5ml capacity with 24mm diameter. It is a single coil RTA tank with gold plated stainless steel contact pin. And it features top filling system, which make the device easy to refill the e-juice. Also, the CP RTA adjustable bottom direct airflow control. 304 Stainless Steel and Pyrex Glass make it high quality. 6 colors will surely satisfy you. In the end I found what I was looking for... A provided tank in a mod with great battery power and a lot juice capacity! So I come over my work without taking battery or juice with me. Fits perfectly in my hand. Works with ec-coils (also DIY!). Huge clouds. One button. Very best all in one so far!!! loving this, it's a breeze to build on, flavor is incredible. It's a go-to vape. excellent rta, juice capacity is just ok, could've been better, but it's still a good prodcuct. Tank quality is excellent and it doesn't leak. It arrived in 2 weeks. All in all, good stuff. Smooth Airflow, easy to use, Advken's one of my favorites.